A benefit of working with teachers and schools across the country is that you run into some really talented folks. 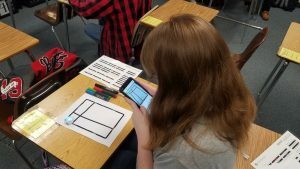 In that spirit, this blog entry is written by a guest author, Lisa Carpenter Richardson, an Algebra and Math Models teacher from Clear Brook High School in Clear Creek Independent School District. Clear Brook HS is in Houston, Texas. There is a lot of discussion about the intersection between Computer Science and Mathematics as disciplines. I’ll write more about that in a future blog entry because I think it’s a discussion worth having. I definitely have some thoughts that I’d like to share. In the meantime, Lisa presents a powerful and compelling narrative about how a teacher can follow a passion, take a risk, and generate powerful learning experiences for her students. And I think there’s lesson for all of us in her story. Without further ado, heeeeeeeere’s Lisa! Last summer, I signed up for a computer science grant through WeTeach_CS. Little did I know that would lead to Math is Ozo-some in my classroom! When I started coding through the grant, I immediately thought about steps in solving math equations. Then, when I found the Ozobot, it emphasized the importance of order of operations and accuracy. I knew that I made the right decision in studying computer science. Now, I might be the outlier teacher here (see that mathematics vocabulary usage there?!?!) but my kids have a great need to continually practice using the order of operations and improving their accuracy in solving math equations. Which is Computer Science! When I saw the Ozobot presented at a conference, I immediately knew I wanted to see about using these in the classroom. I received one through my grant in October 2017 and messed around with it seeing how they worked and could be used. 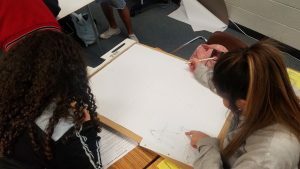 I started planning and decided to write a DonorsChoose.org grant for a class set as I felt it would benefit my students with not only mathematics but important life skills beyond the classroom. I started my class with this YouTube video. They were immediately hooked. Ozobot has a library of lessons available for free online and I did the intro lesson found here. My students loved them. They troubleshot on their own. They studied the codes on their own. They worked on their accuracy on their own. They saw the success immediately and uniquely in the classroom. When we discussed the connection to mathematics, one response was a ‘ooohhhh order of operations! !’ You could see the light bulb light up, just like their Ozobots. It was a very rewarding experience that exposes kids to a new language and the world of coding. I had someone ask how this relates to mathematics. I responded that order of operations is a fundamental basic concept that leads to success in life as well as future mathematics classes. Showing all your steps is key in successfully getting the accurate answer, just like the response with your Ozobot. Students then asked me how this will help them in the real world. In a word, troubleshooting. In the real world, we need to know how to do our jobs and account for changes and different things happening at a given moment. We need to know how to complete our jobs accurately. We need to follow the order of operations to complete tasks. After completing the introductory lessons with color coding, I did a project with Quadratics. An important concept in Algebra 1 is Quadratic Graphing and Attributes (A.7A: The student is expected to graph quadratic functions on the coordinate plane and use the graph to identify key attributes, if possible, including x-intercept, y-intercept, zeros, maximum value, minimum values, vertex, and the equation of the axis of symmetry, also Math Models M.5C: The student is expected to use quadratic functions to model motion). 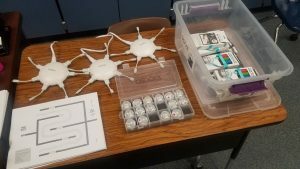 I created a lesson incorporating these things with the Ozobot coding. You can find my full lesson here which I revised after completing the project with students. The equations I used can be found here (I wanted to make sure they had integer solutions and would fit on chart paper). 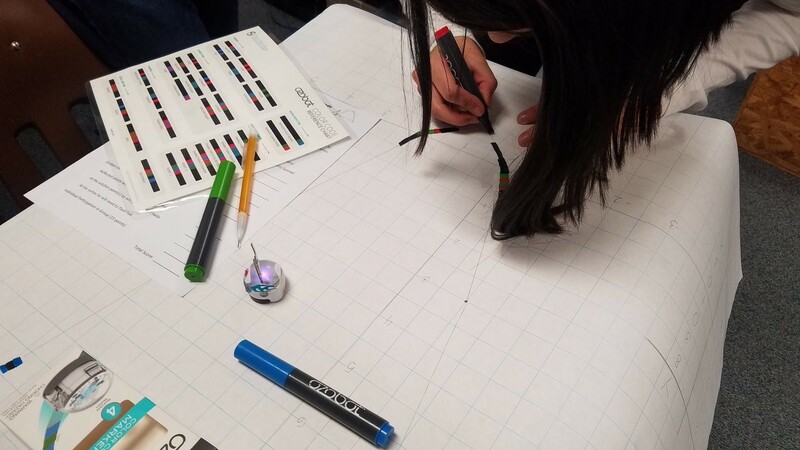 You can see one student’s Ozobot work in action! I hope to expand into the Ozoblocky online programming where students learn the language of coding. There is no greater way to emphasize importance of steps and showing all work than coding. 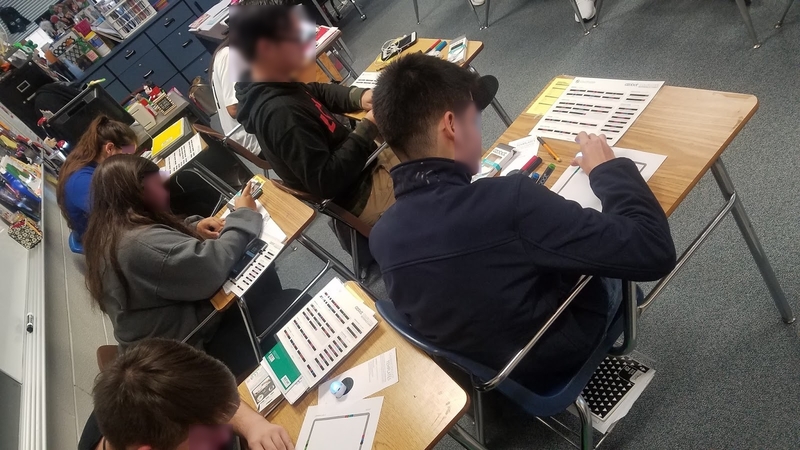 The Ozobots really did make my class Ozo-some! I was so amazed at the work my students did with this little tough robot and highly recommend you look into #codinginmath with Ozobots. Lisa Richardson is a teacher at Clear Brook High School in the Clear Creek Independent School District in the Houston, Texas area. Her website is mrsrichmath.blogspot.com. You can follow her on Twitter and Instagram @CBHSRichMath.